Posted on March 8th, 2014 , under News. 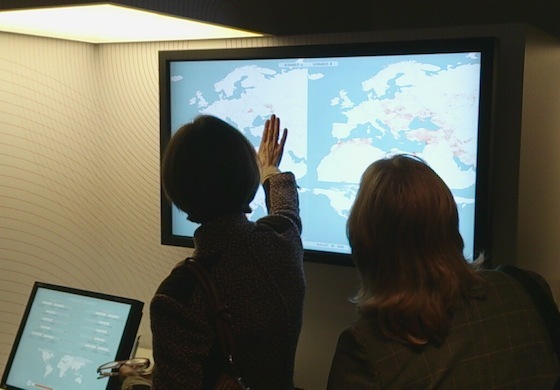 The Epidemic Planet visualization application has been included amongst the selected installations within the “Beautiful Science: Picturing Data, Inspiring Insight” exhibition, organized by the British Library in London. 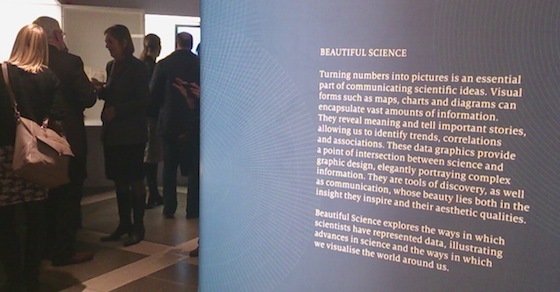 The exhibition hosts various scientific projects with a keen focus on data visualization, including paper illustrations dating back to the eighteenth century. The Epidemic Planet installation has been renewed in terms of graphical interface, with a sleek look that helps users to focus on the epidemic spreading dynamics. A new option to distinguish between winter or summer start for the pandemic has been added, to explore the effects of seasonality on the spreading of the disease. Visitors of the Beautiful Science exhibition can choose between three different places of origin for the infection: La Gloria (Mexico) where the 2009 H1N1 pandemic started, or two UK locations with a different level of connection to the global airline transportation network: London and the Isles of Scilly. If you pass through London, stop by and have a look! The exhibit is running till May 26th, 2014.